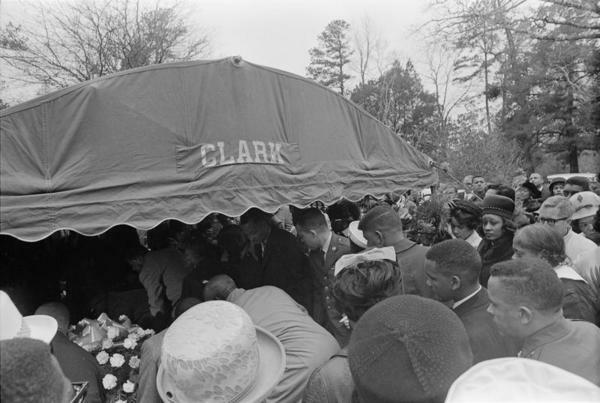 Description: Vernon Dahmer funeral, Shady Grove Baptist Church, Kelly Settlement (Hattiesburg, Miss. ), afternoon of January 15, 1966. Funeral tent surrounded by mourners. Casket and family members barely visible.